I'd forgotten how brilliant The Hungry Peacock: The Busy Peacock is. 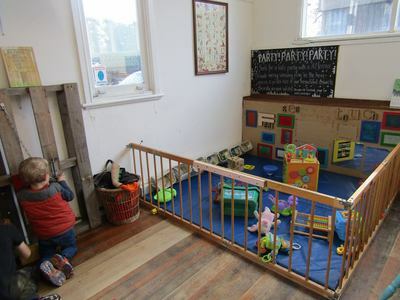 This is the ultimate kid friendly cafe. 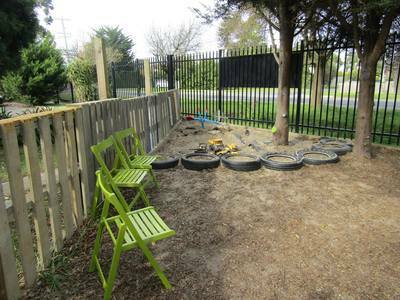 There's an outdoor yard with a sandpit and cubby house, an indoor play space with a little kitchen, big baby play pen, a 'construction' zone, a car ramp fixed to the wall, and a little library of books. 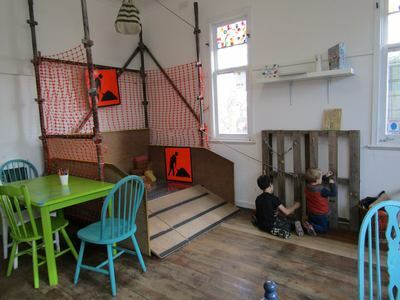 Not only that, but the menu is interesting, healthy and varied, with plenty of kid friendly options. Junior KidTown told me on Saturday it's his 'favourite restaurant' because there is so much to do. 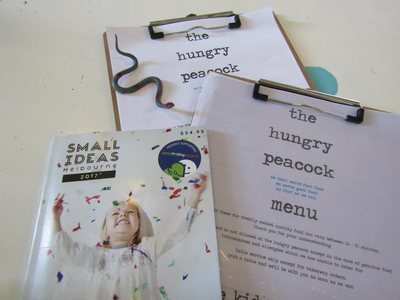 We used our SMALL IDEAS book voucher at The Hungry Peacock at the weekend for 10% off our lunch - bonus! It's a bit of a drive if you don't live on the Mornington Peninsula, but totally worth the visit if any of the above tickle your fancy. 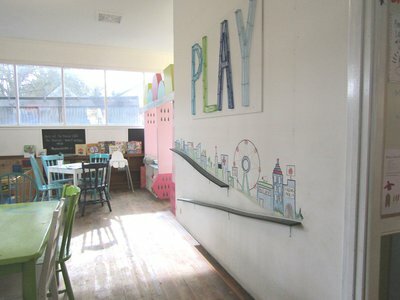 Have you been to The Hungry Peacock? If not, you need to go.